Being outdoors is fun, especially if you have a nice lawn. However, you don’t want to bring the outdoors inside. Some outdoor things, like pests and critters, are best left outside. If you want to ensure those outdoor critters remain outside where they belong, you need to take preventative pest control measures. If you are in then the Eastlake area and are in need of pest control services, contact us. We want you to have a home you feel comfortable in, and we can help create this comfort by preventing spiders, ants, and other tiny critters from entering the house. When you are looking for perimeter pest control services for your residential or commercial property, give Lawn Control Center a call. There are many ways for insects to sneak into your home. 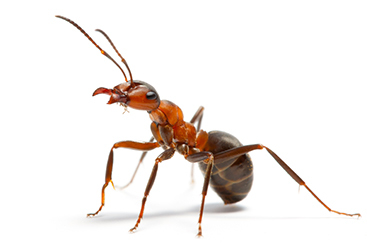 From the crawl spaces to the foundation cracks, ants, and other bugs are relentless when it comes to seeking warmth and shelter in the winter and food throughout the year. Of the dozens of tiny holes around your home, you need a barrier that will deliver. When you call Lawn Control Center for perimeter pest control, our highly skilled and professional technicians can keep invading spiders and other pests outside where they belong. Our pest control program involves the application of an invisible barrier to the outside of your house five times a year. By strategically putting down the perimeter pest control barrier at various intervals, we can provide an effective shield that will consistently keep the insects from entering your home. Our Full Program is focused on the exterior of the home and is designed to deliver results; this process is done without any of our crew ever entering your home. We back up our Full Program with a 100% satisfaction guaranteed, and on top of this, we offer free touch-up visits as needed in the event that a spider or ants find a way to break in. There are many kinds of critters that can enter your home throughout the year. Providing pest control on the inside of your home will take care of the insects already trying to make your home their new residence. However, to prevent them from ever getting into your home it is crucial to have a reliable perimeter pest control strategy. This will keep them out of your house and out of sight. All of these little critters and others potential invaders will be properly taken care of when you hire the Lawn Control Center to handle all of your pest control services. No one wants to wake up to a line of ants crossing the floor or searching through the kitchen cabinets. Similarly, most people do not want to see a lone spider crawling across the ceiling. Customers can be easily turned off when they spot a little critter creeping up the wall of your business too. If you are ready to live a more comfortable life—one where insects are not a problem that requires constant management—give Lawn Control Center a call. Whether it is for a small home or a commercial property, you can rely on the certified and experienced crew at Lawn Control Center to lay down an effective barrier that will keep the bugs at bay. 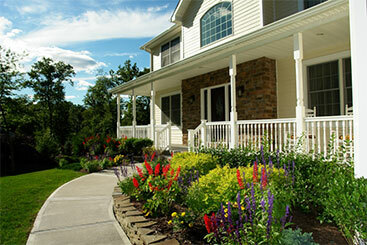 Schedule your perimeter pest control service today!